2. Cream together the canola oil, agave, soy milk, egg and vanilla with a whisk until mixed and fluffy. 3. Sift together flour, baking soda, salt and add a little at a time to the creamed mixture whisking lightly to mix together. 4. 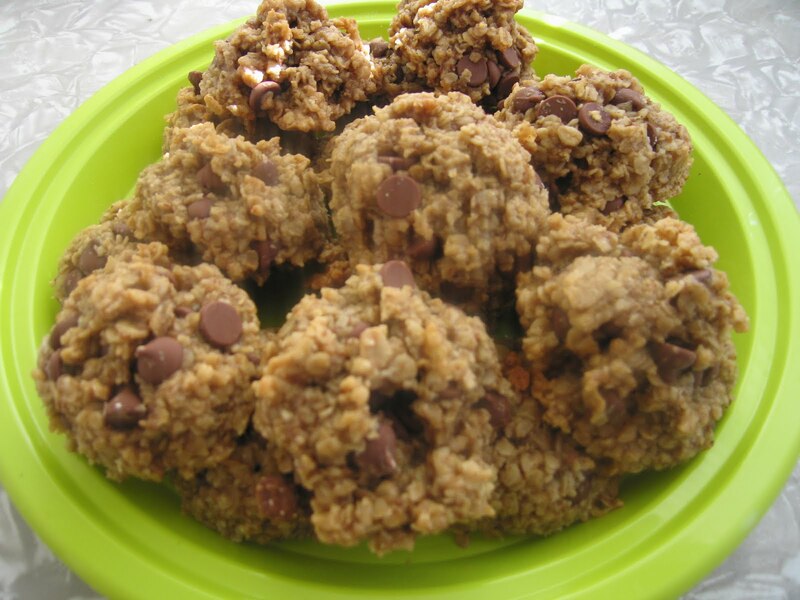 Stir in oatmeal and flax meal until well blended and then fold in the chocolate chips or raisins. 5. I use a small ice cream scoop to scoop batter onto lined (parchment paper) cookie sheets.